Montana Tech is one of the Partners in Innovation creating a national standard for first-destination career outcomes data collection. 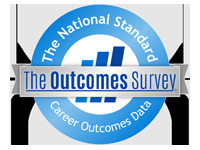 Through The Outcomes Survey (TOS)®, data from new college graduates is collected utilizing an online survey. TOS® is administered to all graduates one month before graduation and updated at multiple intervals after graduation for a period up to one year. The following surveys are closed and the data within will not change.